The housing market has been the beneficiary of historically high appreciation rates for nearly three years. The cities with the strongest markets have actually seen home values return to their pre-recession levels. Even Houston, which was previously impervious to market fluctuations, has seen prices rise exponentially. Of particular interest, however, are the vast majority of metropolitan areas that demonstrated an increased propensity for price growth in the fourth quarter. Home values appreciated at a slightly faster rate towards the end of the year because of increased demand and a lack of inventory. Experts believe that the strengthening job sector and low interest rates will continue to support the current trend. Single-family homes, in particular, appreciated in nearly every corner of the country. Of the 175 metros participating in the National Association of Realtor’s (NAR’s) study, 150 saw the average price of a single-family home increase. For those of you keeping track, 86% of homes were the beneficiaries of year-over-year gains at closing in the fourth quarter of 2014. As you would expect, not every metropolitan area saw closing gains between 2013 and 2014. A total of 24 markets actually saw median prices decrease over the course of the year. Prices appear to have appreciated more as the year progressed. Accordingly, more metros saw their home values increase towards the end of the year than in the third quarter. There was a 13% jump in the number of metros that saw increased price gains from the third to the fourth quarter. Twenty-four of the metros involved in the survey actually saw double-digit appreciation rates. The previous quarter only saw 16 cities accomplish that feat. Over the course of a year, between the fourth quarter of 2013 and 2014, the average price of a sing-family home increased approximately 6.0%. To quantify the increase, homes went from an average of $196,900 to $208,700. In the face of such rapid appreciation, single-family home sales (and condo sales) declined 1.0 percent at the end of the year. The drop in sales saw single-family homes go from 5.12 million in the third quarter to 5.07 million in the fourth quarter. Despite the decrease, sales are still ahead of where they were at this time last year. Again, a lack of available homes drove up prices, making the homes that were available that much more desirable. Over the past year, the amount of existing homes put up for sale dropped from 2.01 million to 1.85 million. That decrease, in addition to increased competition, is responsible for the late 2014 appreciation increase. With the drop in existing homes, the average supply of homes available in the fourth quarter bottomed out at just less than 5 months. For a market to be considered healthy, it is suggested that it has between 6 and 7 months of supply. 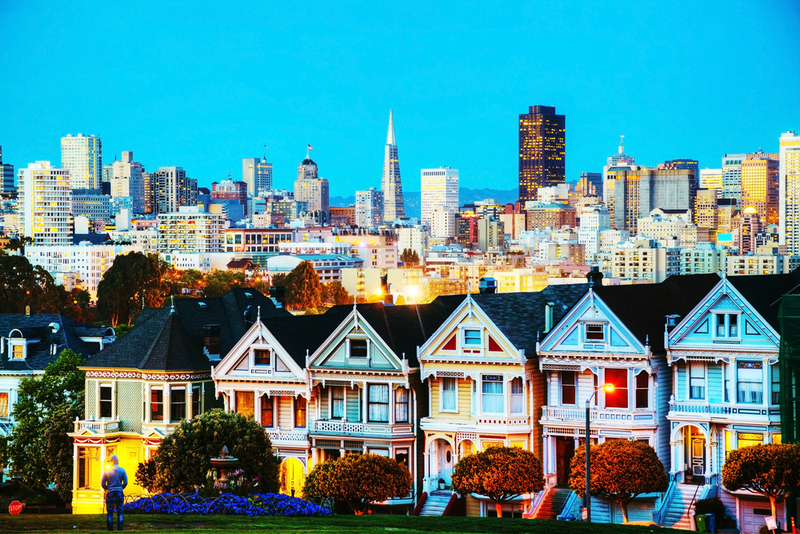 California continues to harbor some of the fastest appreciating housing markets in the country. In fact, The Golden State currently hosts 4 of the 5 most expensing markets – the fifth being Honolulu. At the top of the list is San Jose, with an average listing price of $855,000. Not far behind are San Francisco, $742,900; Honolulu, $701,300; Anaheim-Santa Ana, Calif., $688,500; and San Diego, $493,100. Appreciation is believed to have impacted the amount of 30-year fixed-rate mortgages, as there was a reduction in the amount filed between the third and fourth quarter of last year. Over that span, the national average commitment rate went from 4.14% to 3.97 percent. Surprisingly, the average home – on a national level – became more affordable. Due, in large part, to historically low interest rates and an increase in the median family income, homes became more affordable at the end of the year. In the Northeast, existing home sales increased 2.5%, and the median value of existing single-family homes increased 2.2 percent. In the Midwest, existing home sales decreased 4.7%, and the median value of existing single-family homes increased 6.2 percent. In the South, existing home sales increased 2.7%, and the median value of existing single-family homes increased 6.2 percent. In the West, existing home sales decreased 6.0%, and the median value of existing single-family homes increased 4.8 percent.